This piece was commissioned by one of the Great Twelve City Livery Companies of London, and was completed in June 2009. Close to 4000 rings make up the sock, which were made by winding lengths of wire onto a round rod, and then sawing them into individual rings. This is the first garment that Stefan has made which was not intended to be worn. It is quite small, and would probably only fit the foot of a toddler. It was intended for ceremonial use to convey a badge of office or similar article. 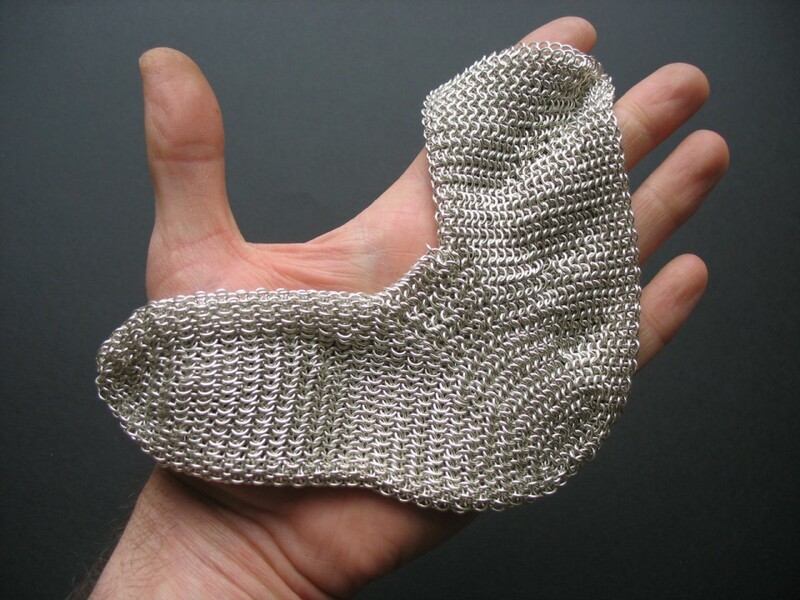 One of the key attractions to chain mail is its mesmerising tactility; it is difficult to put down once picked up.